As your OMSGA Vice President of Finance, I am responsible for processing and approving student club reimbursements, deposits, and charitable gifts. I manage the University’s student club funds and keep track of spending throughout each year to determine how much money must be allotted for club expenses. 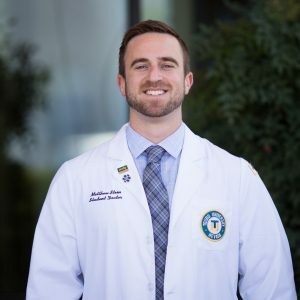 I grew up in the Los Angeles area and moved up to Sacramento to attend UC Davis where I stayed for an additional 4 years working in cardiology research following undergraduate graduation. I enjoy any and all outdoor activities, playing baseball and music, and reading when not studying. I have officer hours every Thursday from 12pm-1pm in the Student Government Office and look forward to working with you to achieve your club’s goals.